We don’t celebrate the Lenten Season as we used to. It has been that way since 1989 for me including the years we stayed in the Middle East where Christianity is not really encouraged. So, what I often do is quietly reflect the true meaning of the Lenten Season. I remember what Jesus Christ did on that historic moment. There is no greater story than that of Easter and the heroic work of our Savior, Jesus Christ. He came to do what we could not do ourselves. Whatever pain and sufferings Jesus bore that day, He bore it all FOR US. The world may think that what Jesus did was all foolishness, but we could only make sense of what Jesus did until we see our own sinfulness that’s condemning us to hell. It was His great love and mercy for us that prompted Jesus, the Son of God, to step down from heaven and rescue us from our sins. 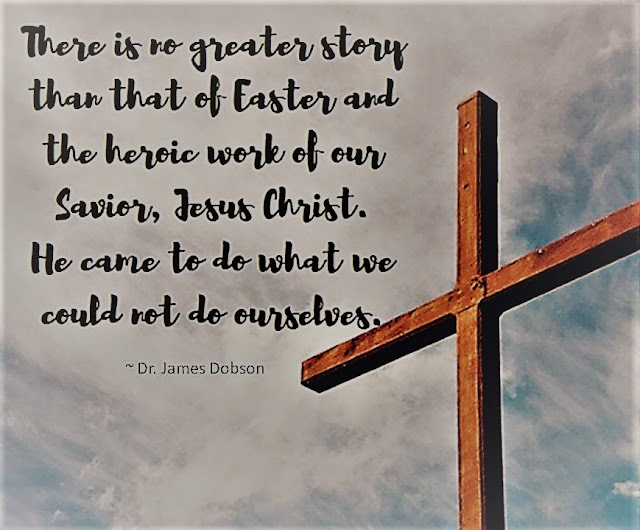 We could not save ourselves from our sins. There is no amount of good works that we can ever do that can pay the price for our sins. We could only receive forgiveness of all our sins when we appropriate the full meaning of Christ’s death in our lives, that is, if we believe it and accept His salvation and Lordship in our lives. Have you accepted the forgiveness of sins that can only be received by the washing of the blood of Jesus? Have you made Him the Savior and Lord of your life? i miss the procession during the holy week. we used to do that when i was still at home (in the phils) then we’ll have bibingka after. Thanks Sheryl for dropping by. Haven’t seen those also in a while. God bless. We really need to reflect on what this lenten sseason is all about. Some just thoguht of it as a vacation grande and set aside the true meaning of this holy days. We can enjoy the vacation why not. But I think what God wants from us is to appropriate in our lives what He did for us 2000 years ago. He wants us to trust in His work of salvation and that we may be saved from our sins. Jesus’ sacrifice should be remembered every day not only during lent. I can’t help but think that those people with panata to get nailed on the cross during holy week are trying to save themselves through their own efforts like His dying for us is not enough. Holy week should be remembered for the right purpose and that is to repent our sins. I remembered back while I was in Pinas we always have Binignet after long novena’s at chapel. Your post almost made me cry. Whenever I read posts like this, “Jesus paid the price” really dig deep into my heart and soul and I can actually feel the GREAT LOVE that He has for all of us. Great to do some reflection this lentern season. I’m doing the same too. I’m not as active this year as the years before I was married and had kids. I am hoping to participate more when the baby grows a little more. But will definitely reflect on what you wrote and showed. Thanks for this simple reminder. I am thankful for our Lord’s great sacrifice for me and for us all. I agree 100 percent. Parang sa parents mo lang yan eh. Im just so ashamed that before I talk back at my parents. Tapos they give you everything from 0 months. Yet you are ungrateful. Like God, we should always be appreciative and not be an ingrate. Amen! Sometimes, it has to be a Holy Week before we stop from the daily grind of life, and reflect on the more important things in life! I agree that we can’t do anything to even get close to what He did for all of us. But every Lenten season, we see people trying to re-enact what Jesus did but we have to ask what it really accomplishes? Everything Jesus did did not end on the cross, He’s alive and desires for us to be in a wonderful relationship with Him. That’s what Easter means to me.